And so it begins. The first post-debate polls to be released in a handful of toss up states seems to indicate that Romney got something positive out of his debate performance on Wednesday night. In fact, for the first time in several weeks, FHQ will break from the "confirming poll" language that has marked the post-convention period. Instead, if today is any indication, we will begin talking about recalibrating or narrowing polls. But keep in mind that the same logic that was in place post-convention is now in place post-debate. The question isn't necessarily how much of a bounce Romney gets but how long said bounce persists. If the expectation is that this bounce recedes quickly, then this initial wave of survey data in these most important toss up states may hypothetically provide the high point in the arc of the bounce. If, however, the expectation is that the bounce elongates some before decaying, then the polling may not yet have reached the apex of that bounce. As we have discussed over the last few pre-debate days, baselines (and thus expectations) had been set through most of the toss ups, and those baseline ranges in which most polls margins tend to occur to some degree will be recalibrated -- in Romney's direction most likely. Rasmussen showed Colorado as Romney +2 a couple of weeks ago, but that was an outlier in a sea of Obama +3-5 results. Given that this new McLaughlin poll was in the field prior to the debate, it. too, either looks like an outlier or as some evidence of some measure of pre-debate shift toward Romney. Regardless, it has been since and early August Q poll that we have seen Colorado this far in the governor's direction. Context matters on this one and it was in the field before the debate. 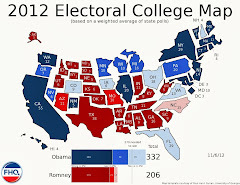 Both Rasmussen and We Ask America were in the field the day after the debate in Florida, Ohio and Virginia and the one thing that is evident across both firms and all three states is that Mitt Romney gained. And the balance tipped toward Romney in a manner that is consistent with how those states are aligned relative to each other. There were greater Romney advantages in Florida than in Virginia and greater leads in Virginia than in Ohio. But all three were newly, evenly competitive. Florida, close to the partisan line on the Electoral College Spectrum below already, began to tick down in the FHQ weighted averages. Then again, Florida saw its peak on the Obama side earlier this week following the addition of the Suffolk poll. The Sunshine state began to track down when the latest Gravis poll was added. Speaking of Gravis, the Florida-based firm was in the field in the Silver state on debate night itself and found a much closer race than several, though not the majority of, post-convention polls. Buoyed by the Obama +11 from We Ask America last week, Nevada had jumped into range of coming off the Watch List (see below) as a comfortably Lean Obama state. But if the Gravis survey is any marker, then that may be about to change. If this first wave of post-debate polling is indicative, then Ohio like Florida and Nevada above may also have seen the height of post-convention margins in Obama's favor. Certainly, the Obama +8 Marist poll may have overinflated the FHQ average some (It nearly pushed the Buckeye state into the Lean Obama category. ), but on the strength of these two, much closer polls, that may be beginning to turn around and head in the opposite direction. Just for a glimpse inside one of these states, Obama's share of support is consistent with the FHQ average in the We Ask America poll but is well above where FHQ has the Obama average share charted in the Rasmussen survey. Romney, on the other hand, is above the established average baseline of support in both polls, but more so in the Rasmussen survey. The take home from these two polls in the Old Dominion is much the same as it was in Ohio or Florida. In Virginia, though, that translates into a transition from a +2-4 Obama edge before the debate to a +2-3 Romney lead in the first, post-debate wave of polling. But that turnaround was underway -- not to the same extent, mind you -- last week. Again, looking at this through a strategic lens, the same principle stated at the outset of this post applies. 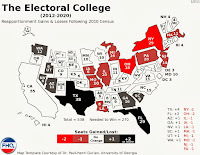 If the electoral calculus of this race is to change following this and the subsequent debates, then the question remains one not of whether there was a bounce and how much of an dent it put in Obama's pre-debate advantages, but how long it lasts. A lasting effect will gradually bring the FHQ averages down toward parity in some toss ups and may push a handful of states already there (Florida and North Carolina) either over the partisan line into the Romney side or more fully into the Romney column. As it stands now after the first wave of post-debate polling, though, the status quo was maintained. 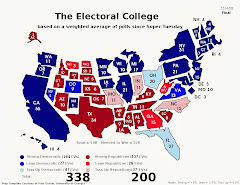 And FHQ hinted at this above, but where it counts -- in the middle column of Electoral College Spectrum -- the same order remains as well with just one exception. Virginia switched places with Iowa after claiming the spot immediately under Ohio just last week. The other polling changes only served to affect the average margin between the candidates and not the overall order of states. In other words, the shifts were mostly though not exactly uniform in this first, very early wave. Virginia's jump past Iowa on the Spectrum also pushed it off the Watch List into a firmer position within the Toss Up Obama category. 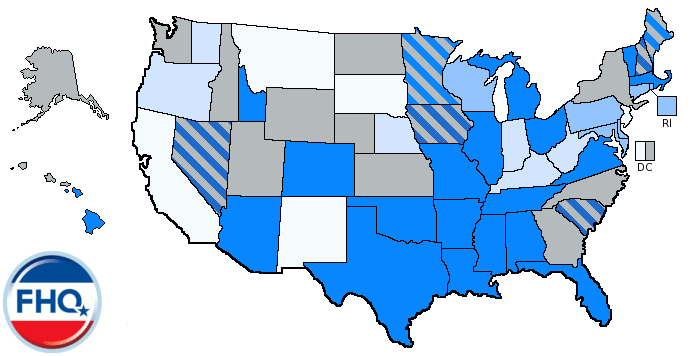 The remaining states retained their positions on the cusp of changing categories.